‘Love Per Square Foot’ is a charming romantic comedy that is built on the backs of its leading pair, despite formulaic elements. The original Netflix production, released on the streaming service on Valentine’s Day, and it’s a pretty suitable movie to celebrate the romantic event. 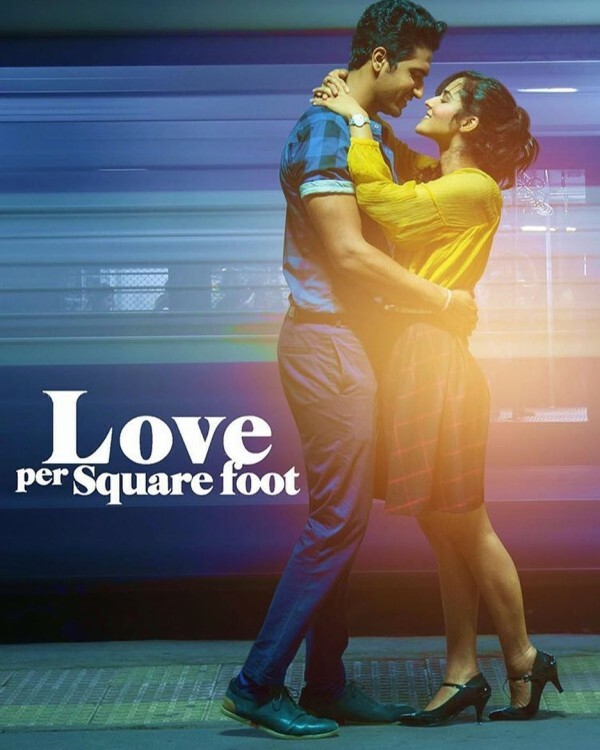 ‘Love Per Square Foot’ is the story of two young professionals in the bustling city of Mumbai, India, trying to stake a home for themselves for totally different reasons. 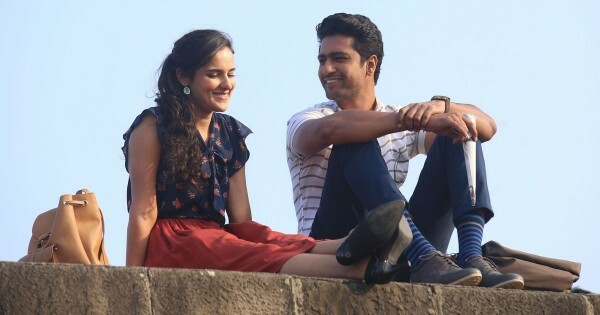 Sanjay (Vicky Kaushal) lives in assigned housing as part of his father’s employment, where he has a bed in the hallway, at times shared with whatever member of the family is visiting. His goal in life is to get a house of his own. While Karina (Angira Dhar) lives to fulfill her dream of owning a house, and sharing the house, and a life, with a husband, with whom she can be on equal grounds. Something that she doesn’t seem to be getting from her dopey fiancee Sam (Kunal Roy Kapur). When both Sanjay and Karina come across a government housing scheme for married couples, it gives birth to the premise of the movie: A platonic partnership in order to be approved for a house loan so they can both get the home of their dreams. Things obviously get completed when they both start falling for each other. Writer and Director Anand Tiwari makes a great movie with charming performances, and a story that is instantly relatable, and one that doesn’t rely on the typically formulaic conflicts that usually make up the conventional romantic comedy. That’s really the genius behind ‘Love Per Square Foot’, while also being the cause for some of its problems as well. But none of the minor problems in the screenplay matter much, given the incredible performances by the leading pair of Kaushal and Dhar! Kaushal, already a pretty established powerhouse of talent, impresses again in the role of a casual everyday guy, looking for love in all the wrong places. Kaushal plays clueless and needy, while at the same time, completely self assured, with such ease that you can easily root for him to be happy as the protagonist. Dhar is the true stand out of ‘Love Per Square Foot’. The debutant feature film actress stuns in a role that offers none of the opportunities for intense dramatic acting, but she is still able to make quite an impression. Dhar’s natural cuteness coupled with her instant likability really sells the relationship in the movie. While Kaushal's Sanjay is the conventional impulsive and clueless boy, Dhar's Karina has the maturity and sensibility that grounds their relationship. The characterization of Sanjay and Karina is intensely genuine, and never once does the audience need to make accommodations or stifle an eye roll at any unrealistic scenarios playing out in the story. Both seem like completely different people, with different personalities, priorities and ways of living life. But ‘Love Per Square Foot’ doesn’t waste time setting up a complex cute-meet between the two. Instead, the pair lock eyes across a crowded dance floor at a party, develop a mutual attraction that develops into a friendship, which eventually blossoms into a relationship. None of the immature-boy-stalking-girl-who-initially-hates-him-only-to-love-him-later creepiness that other romantic comedies feel the need to jam into the story. This makes their differences seem genuine, and the conflicts in their relationship feel earned, and not just for the sake of dramatic tension. Both Kaushal and Dhar’s chemistry is palpable, and makes us completely invest in their lives and problems. Especially when those problems are super thin and leave a bit to be desired. While the film deals with the typical rom-com problems with a lot of maturity and doesn’t have them drag out for 2 hours, this leaves little conflict for the movie to actually need to solve in order for the plot to move forward. Instead, we get a somewhat forced family life conflict, dependent on religious differences. ‘Love Per Square Foot’s other big strength really is the inclusion and relationship between the two real life sisters, Rathna Pathak Shah (‘Kapoor And Sons’) and Supriya Pathak Kapur (‘Ram-Leela’) playing the moms of the two leads. Their chemistry as completely different moms from two different backgrounds and religions, provides the movie with the best comic relief, while also feeling completely out of place and dragged on at other times. Tiwari attempts to make a complicated and complex love story, but the movie is best when it's just Kaushal and Dhar trying to make an honest life together, with the simple problems and issues that it all entails. The movie is less charming when other characters get involved, for subplots that feel unnecessary and weird, and supporting characters that come out of nowhere for 1 or 2 scenes acting as they’ve been part of the story the whole time, never to be seen again. Honourable mentions have to go to another debutant in the film, Alankrita Sahai, who initially comes across as the token hot girl of the movie, however, her performance definitely shows that she is capable of more. Bhaskar Yadav as Sanjay's father is always a treat. ‘Love Per Square Foot’ is an earnest love story set in a contemporary India where relationships can be romantic, without being unnecessarily romanticized. The film is able to create drama from the genuine love story between two people that are completely different with problems that feel real and not manufactured. The film is sweet, endearing and fun to watch in all the right ways.